Americans are easily swayed by sympathetic portrayals of an extremist enclave. During the 1960 Christmas season, Americans flocked to the theaters to see Exodus, a 3-1/2 hour epic featuring romance, handsome freedom fighters, and the triumph of Jewish destiny over Arab evil – all set against a Yuletide backdrop of Biblical prophecy, as heroic Jews returned to their promised land. Many moviegoers failed to realize that Exodus was not fact, but fiction adapted from a 1958 Leon Uris novel, the biggest bestseller since Gone with the Wind. Directed by Otto Preminger and starring a young Paul Newman and Eva Marie Saint, the film featured Lee J. Cobb, Rat Pack member Peter Lawford, and Italian crooner Sal Mineo, a teen heartthrob who received an Oscar nomination for his portrayal of a Jewish émigré. Truman White House counsel Clark Clifford routinely reminded the widely unpopular president that his 1948 campaign was woefully short of funding that the Jewish-American community – with that recognition – was eager to provide. In May 1948, General George C. Marshall, Truman’s Secretary of State, argued vigorously against recognition of this Zionist enclave as a legitimate sovereign nation. Truman heard similarly strong objections from the diplomatic corps, the fledgling Central Intelligence Agency, and the Joint Chiefs of Staff, whose analysis of the perils proved prophetic. 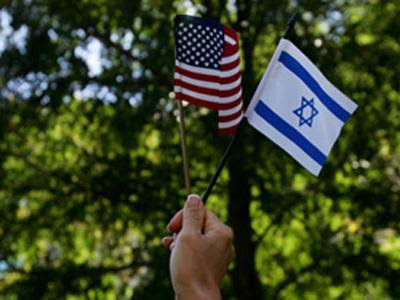 A beguiling combination of manipulated beliefs and outright lies remains at the core of the U.S.–Israeli “special relationship.” The deceit deployed to advance the Zionist project remains obscured by a pro-Israeli bias in media and reinforced by pro-Israeli influence in popular culture. The rewards are real for those who offer aid and comfort to this trans-generational duplicity. As Truman’s whistle-stop train traversed the nation, grateful Zionists refueled his campaign coffers with a reported $400,000 in cash ($3.5 million in current dollars). Those funds helped transform his widely anticipated loss into a clear victory, with support from pro-Israeli editorial boards that – after recognition – boosted Truman’s sagging popularity. Neither Clifford nor Altman had experience in banking when their law firm enabled what prosecutors charged was a global criminal operation. The U.S. press called the scheme the biggest bank fraud in history. This $20 billion transnational operation even included a pop culture component. Clifford’s young protégé and law partner, Robert Altman, was married to Lynda Carter, the star of Wonder Woman, a 1970s fantasy–adventure television series. Jeff Gates is author of Guilt By Association, Democracy at Risk, and The Ownership Solution. He contributed this article to PalestineChronicle.com. Visit: www.criminalstate.com. Israel has six months for their stage-two attempt at wrecking the Mideast peace process. They have lost no time launching their counterattack. Like the pros they are, they had their B-team preparing for the expected loss at Geneva II. They have used their traditional route for seeding the public’s mind with new fears, using our ever ready Congressmen and Senators to front their subversion of American democracy. Our Founding Fathers knew we could never keep what they had given us without an informed citizenry to protect itself from government expanding its power through all kinds of contrived machinations. Militant Zionists have contrived machinations in their DNA, something they justify simply by saying that others would do this if they could, so they are just beating them to the punch. That would be a popular billboard message for every prison on the planet. There is a consensus among analysts that the Zios’ first move would be to claim Iran was not in compliance with the agreement. We have pros around here who have dealt with the slippery and slimy types, so anticipating their moves becomes second nature after a few decades. For a country which has milked a couple of decades out of an invisible bomb, a non-compliance scam is just a piece of cake. The Israelis just make the charge and never provide any real support for it. They have this wonderful echo chamber in the US that hypnotizes Americans into accepting accusations as proof, if they are heard often enough. The Zionist lobby machine to accomplish that has long been constructed, and remains well-oiled from constant use. Readers are encouraged not to play the “reacting to Israel’s moves” game, because that puts you on defense where they have won half the battle already. The way to deal with the Radical Zios is to attack – and constantly, like they do. You have to put artillery fire not only on their front-line troops, with never-ending phone calls to their Congressional shills, but also use long-range artillery to hit their rear areas where they think they’re safe. And that’s the story of their founding myth. I will share with you now my most effective opening shot at turning brainwashed pro-Israel Americans around. Remember, the first goal is to just get the process started by putting something to them that is irrefutable, and has been withheld from them for that very reason. I field-tested this extensively on retired military officers, and it was 90% effective. Declassified intel, especially top military brass intel, is something no military officer is going to brush off as a load of manure. Stephen Green, who wrote his seminal 1984 book Taking Sides from Freedom of Information Act material, once told me he found so much, he could have written ten books. Here’s my number one silver bullet bomb from his work. e) the establishment of Jewish military and economic hegemony over the entire Mideast. The JCS paper added ominously: All stages of this program are equally sacred to the fanatical concepts of Jewish leaders. The program is openly admitted by some leaders, and has been privately admitted to United States officials by responsible leaders of the presently dominant Jewish group, the Jewish Agency. It is what it is: a top JCS intel report that saw its way to the president’s desk. Due to space limitations, I will have to skip the middle part and give you a current bookend bomb to the beginning one above. By that, I mean going right for the throat on the whole “Iranian nuclear bomb” hoax. But this time I will use Israeli sources – their own media. Be sure to print this piece and save it in a file. This stuff works. The same information delivered one piece at a time over an extended period would have much less impact. You have to use this multiple rocket launcher approach. If some of it seems contradictory, just remember that they are making it all up. My compliments to blogger Omer Kabir for looking these gems up. As my regular readers know, I don’t often use this much outside material in an article; but if I had abridged this to a few examples, I think you can see it would have had nowhere near the same impact. These headlines are mainly from just one newspaper, and one particular issue to lie about. You can extrapolate this out for all the others, and you get a pretty good idea whether the claims of these people being pathological liars are valid. I can assure you that many of the Israeli lobby folks promoting these lies upon their fellow Americans might have believed there was some truth in them, maybe in the early days. But the professionals among them had to be aware of this bomb hoax track record. I know, because they can read. So I have not felt it untrue or unkind to say that many don’t care if the Iran nuke threat was bogus, as long as it had the desired manipulative effect. We have a slang saying here in America: when you are the underdog for reversing a bad situation, you have to “up your game”. It means taking a cold hard look in the mirror about the changes that need to be done to stop using failed tactics. Power senses fear and uncertainty, and knows how to exploit it. The news headlines above show how unembarrassed the Israeli media was to exploit their own people’s fear. With the Iranians in the past year, they have use neo-holocaust language, the Nazis, holocaust deniers… there are no depths to which they will not stoop. It is time to take the gloves off and go after the militant Zionists, and this includes all those who have worked with them. Whether they are participants in the lies or not makes no difference. A victim cares little whether he was killed by a murderer or a drunk driver, because the result is the same. A lot of work has gone into getting us where we are now, where we have some momentum. We have dodged some head-shot bullets, like with the attack on Syria. Now it is upon us to honor those victories by doing what needs to be done: denuclearize and demilitarize Zionist Israel. See you on the front lines. The Exodus of the insane Hyksos around the 15th or so dynasty of Egypt was recorded. The were expulsed finally and had originally come largely from the north. Akenaten a mentally retarded Pharoh and portrayed by shriners as a Jesus like character in shriner temples is depicted with mercenaries as Egyption's apparently did no like or respect him. These maniacs called Hyksos and Shepard Kings were anything but poor and looted temples and religious centers of treasures adding even more to their wealth. Not being much good at governing only a few benefited while crime and corruption ran rampant. Upon fleeing to the north when the Egyptions could finally muster enough force to do it, a daughter of this Pharoh called Scota is recorded as involved in attacking their own families roots in Ireland and the north area called Scotland today that was once called Scota. Seemingly disappearing in to a myriad of family and group names could very well be the roots of zionist, swiss bankers and the core of today's insane problems which do indeed seem the work of some mentally ill tyrants who seek others to serve them and destroy everything around them.